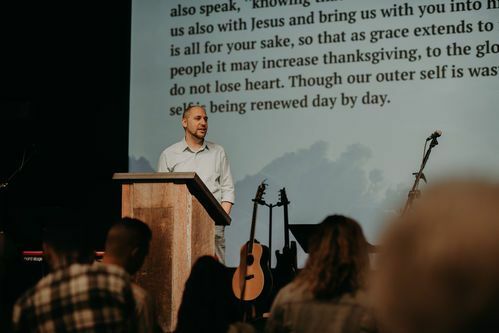 Membership in our culture often brings to mind ideas of privileges and rights that members receive if they pay certain dues, but in the Bible, being a member of a local church is much more active than this. It’s a call to mutual commitment, service, intentionality, and care within the context of a sacred relationship between God and all those who choose it. Our elders and leaders also commit to caring for our members with counsel, prayer, and teaching. Committing yourself to a particular group of believers in this way is weighty, but it’s also wonderful – indeed it is through church membership that Jesus cares for His people. Listen to our Vision Sermon Series (we aim to preach a fresh vision series each year) and attend a Membership Class. We also highly recommend joining a Community Group, as this is where you will get the best feel for day to day life as a member of Living Water. Complete and submit your Living Water Membership Application online. The church office will schedule an interview for you with an elder. During the interview, the elder will 1) get to know your story and how we can best be caring for you and 2) assess if you are ready to make this commitment. When you pass your interview, you’ll sign the Living Water Membership Covenant, and you are officially a member! But wait, there is still one more step. At our next Membership Sunday (these happen quarterly) we’ll bring you up front with all the other new members to “go public” with your membership commitment, be celebrated and prayed for by the whole church.